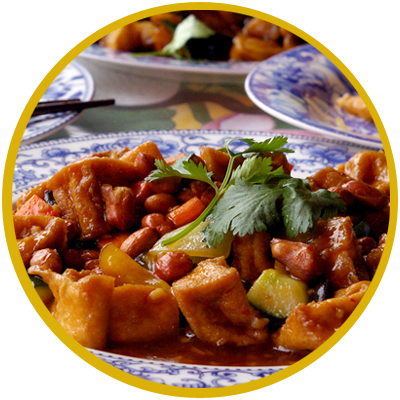 Healthy Chinese Cuisine for the Discerning Diner! YES, WE HAVE MADE THE FINAL OF THE GOLDEN CHOPSTICKS AWARDS IN LONDON ON 29TH APRIL 2019. 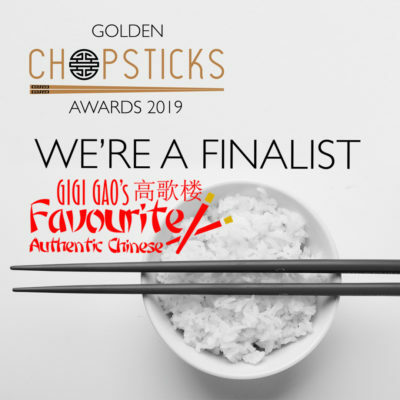 We’d like to take this opportunity to say a big THANK YOU to all our customers for their loyal support in helping us reach the final of The Golden Chopsticks Awards for the second year running, where we will compete for the title The Best Oriental Restaurant in Wales 2019 (which we won in 2018) in London on 29th April, at the gala event hosted by Gok Wan with Head Judge Chef Ken Hom OBE and a plethora of other celebrity judges. 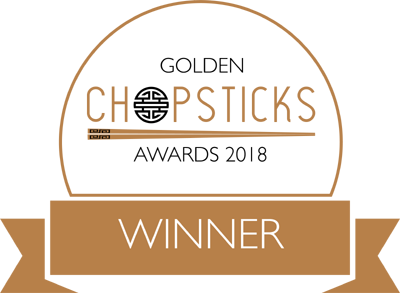 The results were announced at the awards ceremony on Monday 16th April in Mayfair, London hosted by Gok Wan, with Ken Hom OBE and Ching-He Huang as judges, amongst others! On behalf of the team at Gigi Gao’s Favourite Authentic Chinese we’d like to thank you for your votes, your support and especially your friendship! For those of you who have yet to sign-up to the ‘Friends of Gigi Gao’s Favourite Authentic Chinese’, then you can subscribe now, by clicking in the button below. PLEASE NOTE: Once you have completed the form and submitted your registration, you will receive an ACTIVATION EMAIL in your email Inbox. You MUST ACTIVATE YOUR REGISTRATION before it can be accepted. Thank you. 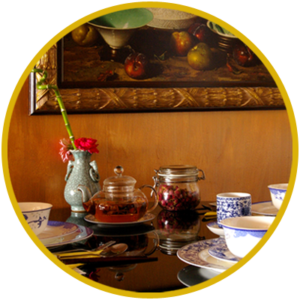 Inspired by the lack of real Chinese cuisine within the local Swansea area, typical of that which you would experience in China itself, Gigi Gao ventured to change the local Chinese dining culture by introducing truly authentic Chinese cuisine, and a memorable dining experience to match. The restaurant is small but very busy providing a great atmosphere for all types of dining. Whilst the dishes and flavours are unique to the local area, the growing following and subsequent high recommendations speak for themselves. A little light Shanghai Jazz is the preferred music of the evening and you can occasionally find a live musical treat at The Favourite. The team here at The Favourite Authentic Chinese are delighted to report that we have achieved the Trip Advisor Certificate of Excellence for three consecutive years. Thank you for your continued support and we look forward to bringing you new and exciting dishes and a fresh dining experience throughout the future. 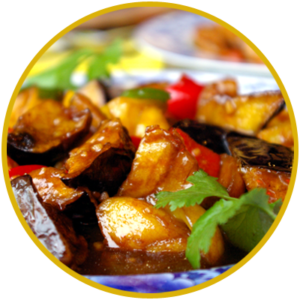 Our cuisine not only reflects truly authentic Chinese fare as you would eat in China, but we take pride in offering MSG Free dishes, unlike so many other establishments in the UK. Your health matters to us and we believe that this is an essential step in ensuring a long and healthy life.